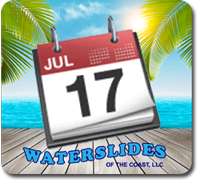 Water slides of the Coast serves the entire community of Waveland Mississippi. 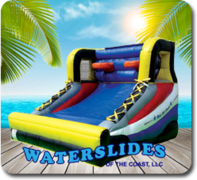 We deliver jumps tp many great families and residents. 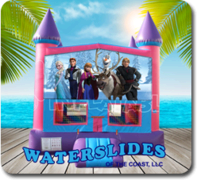 We love to bring parties to your home and help to complete your child's or friend's event. 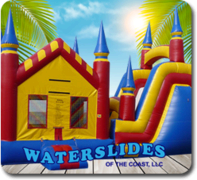 Being fully licensed and insured for our water slides, bounce houses and concession equipment make Water slides of the Coast an easy choice. Our professional technicians will set up your event and help make it the most memorable of your special person's year. Our years of experience have helped us build a special bond with our clients. Our reputation through Waveland and across the Coast is excellent. We are continuing to build on that with service throughout the Mississippi Gulf Coast area. 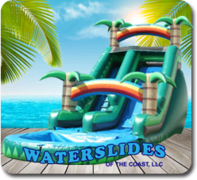 We want to make all our services available to the great folks of Waveland. Waveland residents usually get free setup and delivery. 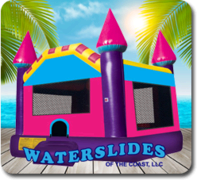 We work with schools, churches, family gatherings and even commercial events for our client's employees. 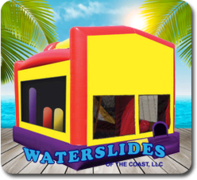 Please call 228-216-2228 if you have any questions about renting an inflatable or if you don't see what the bounce house you are looking for! 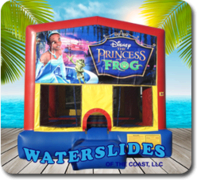 We offer concession stands to go with your bounce house or water slide. 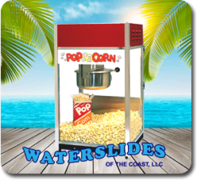 From cotton candy to popcorn machines, get everything you're looking for for your party or event. We will help you make this a memorable celebration. 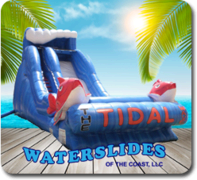 Call us or reserve online today!